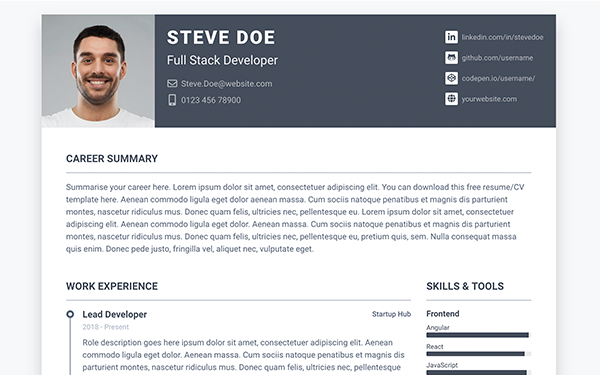 Orbit Sketch is a free resume design template made for developers. It’s the perfect base for making your own printable resume/CV. 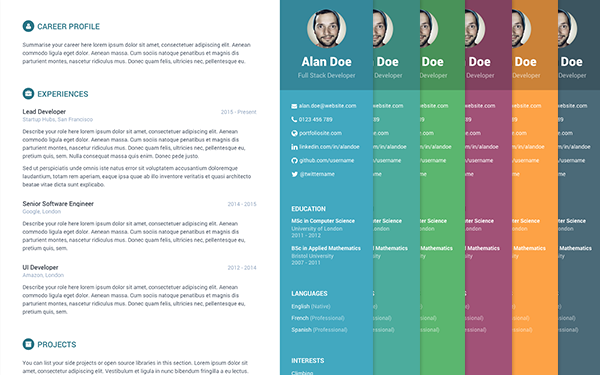 The design matches our Bootstrap resume/CV template Orbit so you can use both for your online and offline presences. The design file is in sketch format so it’s super quick and easy to edit the content and change the colour scheme. Want your job application to stand out from the crowd? Get the design template today and you can have a professional looking resume/CV ready in no time! Want more free resources like this? Sign up to our mailing list or follow us on Twitter so you don’t miss any future freebies! Want to have an online version? 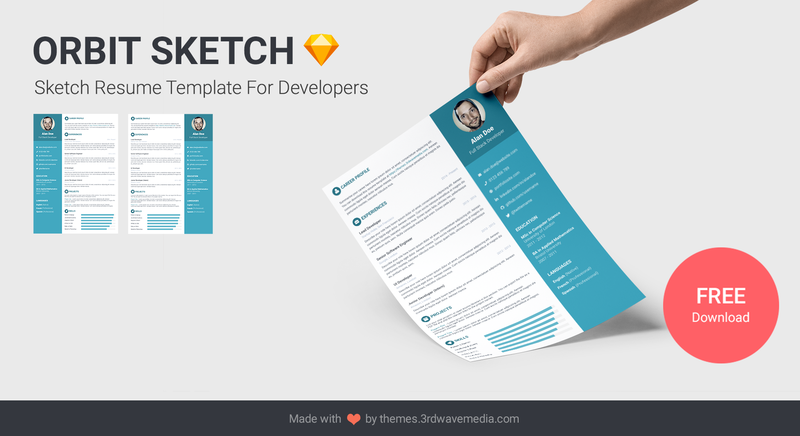 This Sketch template is made by our product designer Xiao Riley for developers. It’s 100% FREE for use in personal projects. You do not have the rights to resell, sublicense or redistribute (even for free) the files on its own or as a separate attachment from any of your work. If you wish to promote this template on your site, you must link back to our website (themes.3rdwavemedia.com) where users can find the download and not directly to the download file. We've launched a clothing line for developers! Check out our cool programming t-shirts and hoodies! Stay Connected. Don't Miss Out! 400,000+ developers have downloaded our free Bootstrap templates. Subscribe to our mailing list to get updates on our latest freebies, product news and exclusive offers. Follow me on Twitter so you don't miss coming freebies. 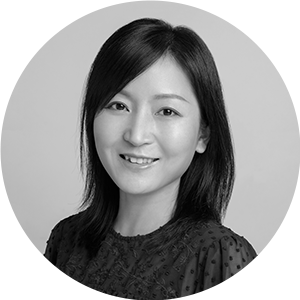 I tweet about useful UX and Webdev related content and resources. 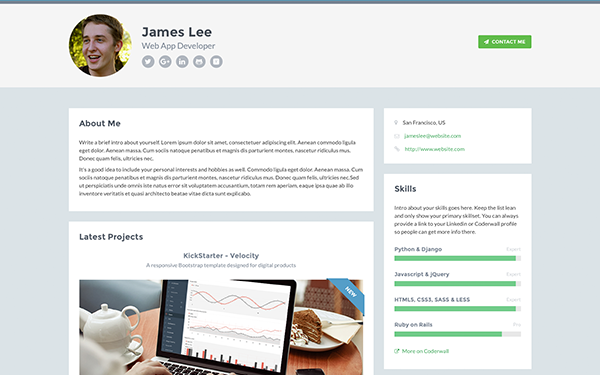 I’m working on more free Bootstrap templates for you. Want to be the first to know when I release them?